A post by "Noisy Apricot" Jay Moonah, head of marketing for Wild Apricot. I'd like to apologize right away that this post will be a little off topic for the Wild Apricot blog, in that it will be more focused on business than non-profit membership considerations. However, since social networking is a theme of near-universal curiosity these days, I thought this might be of broader interest. Don't worry, we'll return to regularly scheduled programming in a day or two! It's an article of faith among many marketers that social networks are an important tool in generating business. However as someone who has worked in digital marketing for a number of years, I don't hold this to be a self-evident truth. I do appreciate the opportunity engaging in social networking affords companies to connect with customers and the broader community. For example, I wouldn't say posting and responding to comments on a Facebook page is a wasted effort, it's just not necessarily something that you should expect to drive substantial business results. Case in point: Wild Apricot. I feel we do a pretty good job in sharing worthwhile information and engaging with people in different social networks. However, various data continually tell me that these efforts don't bring us a lot of direct business. Whether it's web traffic analysis or user surveys, social network activity just does not appear to play a big part in how people discover or choose to become paying customers of Wild Apricot. That's not to say some businesses don't or couldn't drive business using social networks, it just isn't particularly effective for us, and I suspect that's true for a lot more businesses than some digital marketers would be willing to admit. It's not to say that we'd want to stop our social network activities as there are definitely other benefits, for example connecting with customers who have issues or questions. But for bringing in business, social networks aren't a big factor. That being said, we have discovered one area where our social network presence has become a very important business asset: our LinkedIn Company Page. Something I often say about being in charge of marketing for a brand -- it's a heck of a lot easier if you already have customers who love your brand, which is why it's great being in charge of marketing for Wild Apricot! While we definitely get our share of criticism, Wild Apricot is blessed with having many customers who contact us with compliments. Some of these folks are also kind enough to post recommendations on our LinkedIn page. A year or so ago, we started featuring some of these LinkedIn recommendations on our homepage, and as an experiment, we also featured similar testimonials we've received through our customers surveys and other sources. Using the old Google Optimizer software (which is now part of Google Analytics) to run a test, we found that featuring the recommendations from LinkedIn increased the likelihood of people visiting our homepage to sign up for a trial by 15%. Getting people to try Wild Apricot is our main marketing goal and leads directly to new upgrades, so this is huge for us. 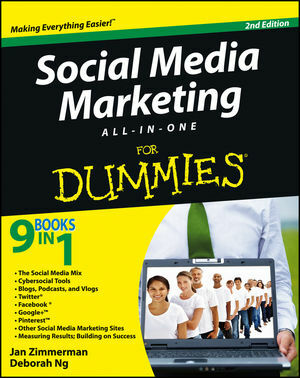 If I might brag a little, I'm quite proud of the fact that our use of LinkedIn in this way has been featured on LinkedIn's own marketing solutions site (here's the PDF case study link), and in the recently released second edition of Social Media Marketing All-in-One for Dummies. Why does this work? Of course there's no way to know for sure but this is my theory: LinkedIn is a recognized brand in its own right, and one that our visitors are very likely to be users of, or to at very least have heard of. Also, because of the way LinkedIn pages work, if you visit our page there and you're a LinkedIn member, any recommendations by people you're directly connected to or in your broader network will pop to the top. That means, if you know someone who's posted a recommendation of Wild Apricot on LinkedIn, it will pop to the top when you view those recommendation I think that's pretty powerful, and definitely seems to have an impact on the trust people have that Wild Apricot could be a good solution for them. From my point of view, the main takeaway from this experience was that while social networking interactions may have some stand-alone benefit, the real power can come when you leverage these interactions in a way that directly drives results. 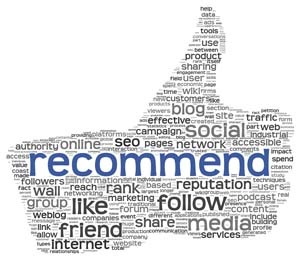 In our case, while it's quite possible people would come across the great recommendations of Wild Apricot on our LinkedIn page on their own, it was by highlighting those recommendations our own website that we saw tangible results. I believe this also shows the importance of maintaining a proper web presence where you can control how information is displayed and prioritized to make sure your visitors are seeing what they need to trust your product, and hopefully to buy it.